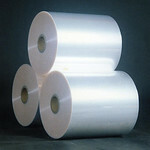 Developments in Asia continually drive global demand for BOPP film with the industry registering robust growth in 2011, with demand rising 5.5% compared with 2010 to top 6 million tonnes for the first time, says UK research firm AMI. The large, youthful and growing populations of China, India and Indonesia are the major contributors for this growth. In terms of application, food packaging leads (60%) as these countries continue to have an ever-widening variety of packaged foods sold through supermarket outlets. China accounts for 40% of global production and demand and on its own accounted for 2% points of the global growth achieved in 2011. It accounted for 95% of all new capacity installed in 2011. Although production has and will continue to be primarily to serve the domestic market, the volume of output now is such that even modest export volumes have the potential to disrupt other markets. Chinese exports, estimated at 6% of production in 2011, are largely targeted at neighbouring Asian countries, but material can turn up in any part of the world from time to time. The strongest growing region in 2011 was the Indian sub-continent. The industry is developing here from a relatively low base. Although it has a population comparable with China its per capita consumption of BOPP film is ten-times less that of China. Demand growth is expected to accelerate driven by the opening up of the retail industry to foreign investment and rising income levels increasing demand for packaged foods and consumer goods. At least ten new lines are on order for India and Pakistan for delivery in 2012 and 2013 that will add close to 300,000 tonnes/year of new capacity. The region is also growing its exports and AMI believes that 20% of its production was exported during 2011. Other emerging markets in Asia continued to show strong growth in 2011 and attract further investment with new lines coming on stream in Indonesia, Taiwan and Vietnam. Moreover, capacity increases were found in Nigeria, Saudi Arabia and Peru. In Western Europe, Japan and the USA growth continues to be more much more modest with 1% to 3% increase in demand. The high level of investment in new BOPP lines in 2011 in the emerging markets continues to challenge global supply and demand with average utilization rates slipping to around 74%. Utilization rates are expected to continue to fall as new capacity comes on stream between 2012 and 2013 before then recovering as production is ramped up. The BOPP film capacity is expected to increase by over 2.5 million tonnes between 2011 and 2016 bringing total global capacity to nearly 11 million tonnes.